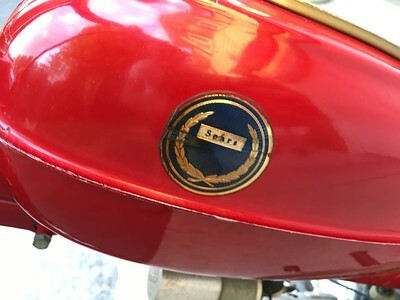 it looks so cute.. anyone know a value? 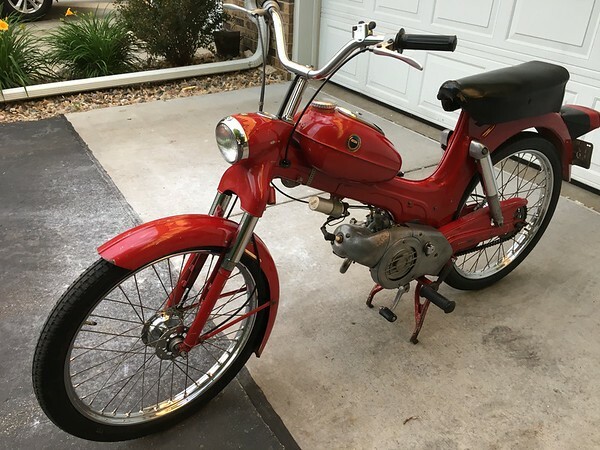 he's asking $700.. original owner from 1966 to now.. 5300 miles in running condition all electrics work. new tires.. only goes 35mph.. I'm going to look at tonight. Price seems fair, to me anyways. 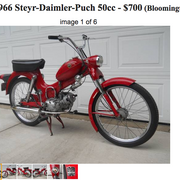 For a vintage Puch, you could double your $ on Moped Army. I paid a hundred more for a Kinetic w/7mi on it in 07. 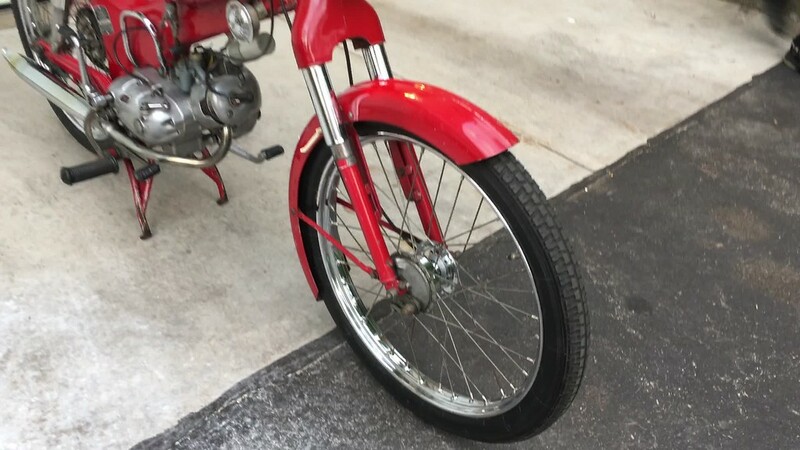 It's a darling, started on first kick.. the owner got it when he was 6 years old.. the tail light and horn didn't work but everything else checked out. can I flip it for profit? Sweet bike. I'd take it to a few bike shows first. 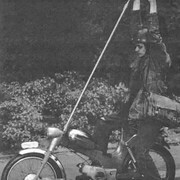 Then flip it, there are folks looking for their 1st bike they had owned. Where did VH find that picture of my Uncle Bob ? You mean, "Going to BUY it tonight". I've always been a fan of ape-hangers, these should be in the Louvre.